The target audience for the AAC is mostly adoptees, I think. Some birthparents too. I wrote the piece with adoptive parents in mind. 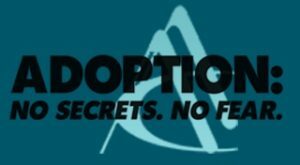 So if you know some adoptive parents, maybe pass it on. Nonetheless, I’m grateful to The Beacon for the publication. This entry was posted in adoptees, adoption, adoption reunion, birthmother, family and tagged adoption, adoption search and reunion, adoptive parents, birth mother on February 13, 2017 by declemen.